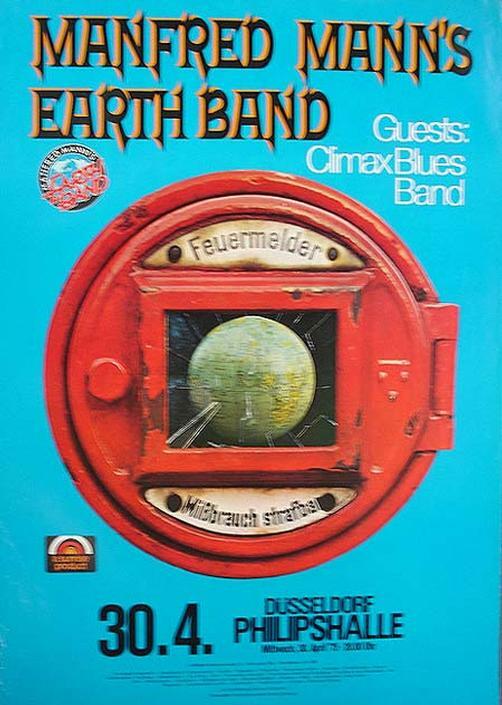 Original concert poster for Manfred Mann's Earth Band in Germany. 24 x 34 on thin paper. Pin holes and edge ware.